Although I've been involved with trading (i.e. survived) on and off for over 20 years, it has been 4 years since I've started actively trading again. I'd be the first to admit -- although there are good moments, life of trading isn't always easy, especially when you're first starting. For whatever reasons, I wanted to write some "things" I wish I believed when I first started trading. Every time I see a new trader trader start to learn how to trade, I wonder if they really know what they're up against. What most people don't tell you is that trading can be very difficult, especially mentally. Don't get me wrong -- I love to read about peoples dreams and expectations, because it helps to remind me why I first decided to trade. You MUST have those dreams, and they MUST burn a fire of passion deep within, or else it'll be too easy for for you to quit when the inevitable dark times come. If you've been through the trading school of hard knocks, you know trading can get really brutal. When I first started trading, I wish someone told had told me what to expect, and perhaps my journey would have been a little smoother, or totally different. Honestly, I probably wouldn't have listened or taken this type of message to heart. Many of the "things" I list below are well known and no secret. I would have said, "This doesn't apply to me." We all need to learn the path ourselves, similar to how we need to discover what method and style of trading works best for us. We're all different, so this list may not even apply to you. But this is what I've experienced, and have also observed from many other traders on their (often failed) journey. As they say, hindsight is 20/20. First of all, having certain psychopathic tendencies isn't necessarily a negative thing. But on the other hand, if you are to become wildly successful from trading, you are not a normal person. The learning curve to trade successfully is brutal and takes a lot of time and energy. Sure, when you're on a winning streak and on top of the world, trading seems so easy. Get too confident, and the market will certainly punish you financially and mentally. But to be able to keep pushing forward, when the chips are down, and you can't seem to do anything right when you book a loss after loss after loss. It requires extraordinary effort, like psychopathic tendencies, to continue moving forward. 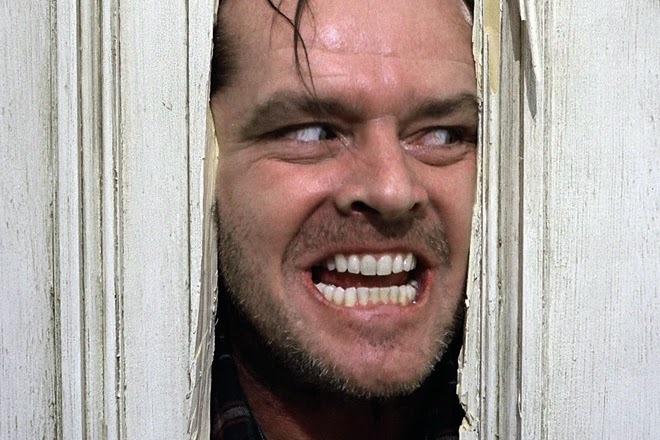 You can read an interesting article on psychopaths HERE. How many people do you know who have tried to diet or exercise or lose weight or quit smoking, or whatever, but couldn't succeed? Of those who are successful, how long have they been able to change their behavior? Google up "Success rate for [smoking/losing weight/etc.]" Is it coincidence that the % that fail are similar to those who fail as traders? Chances are, you know many people who have tried to change their behavior, like a diet, achieve some level of success, then revert back to their old ways. But I'm sure we all have seen success stories, long term success in some cases, people who truly changed their ways. What were the successful people able to do? They were able to modify their behaviors and habits. It's very similar with trading, since natural human emotions are wired counter to successful trading habits. Learn from other fields of study that require behavior modification or how to change your habits in order to succeed. So in hindsight, what should I have done? Learn as many trading setups and test them out, preferably live to work off the emotional charge of trading, but trade very small size. Find ones that produce an edge for YOU over at least 50-100 trades, or more. 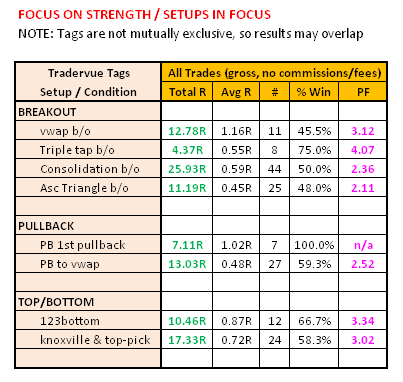 Pick your top 3 performing setups (or just ONE, per Trader-X below) and commit to them. Get married to them, for better or for worse. Continue trading super conservative risk management (RISK SMALL, risk well under 1/2-1/4% of your total account) and track how well you do with a more focused setups. In the meantime, focus your energy on the behavioral and psychological side of trading, to see if you can simply remain consistent with your plan and execute properly. If successful over time, this will build up consistency and confidence. So, how do you work on your brain and make it stronger? 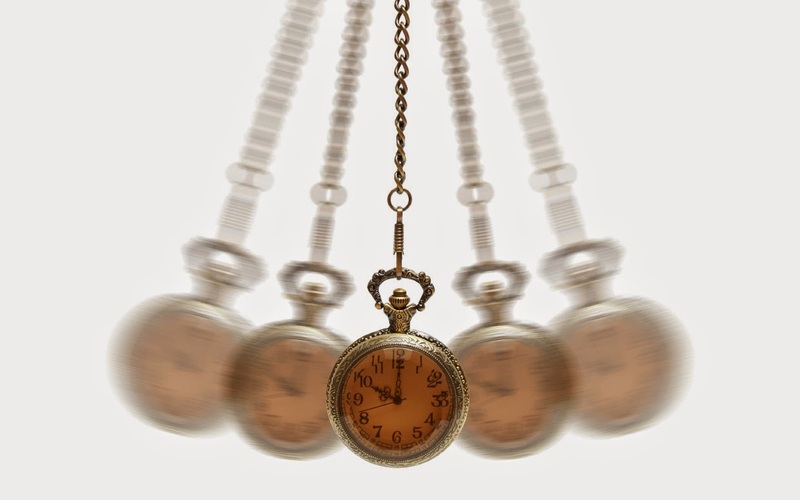 Self-hypnosis, NLP, meditation, mental exercises, sessions with a trading psychology coach, biofeedback, etc. Like trading setups, there is no right or wrong way to work on this, only what works best for you. Ultimately, finding what works best to strengthen and maintain your mental game will determine whether you succeed or fail as a trader. It's not the setup or the strategy. It's all in your mind. 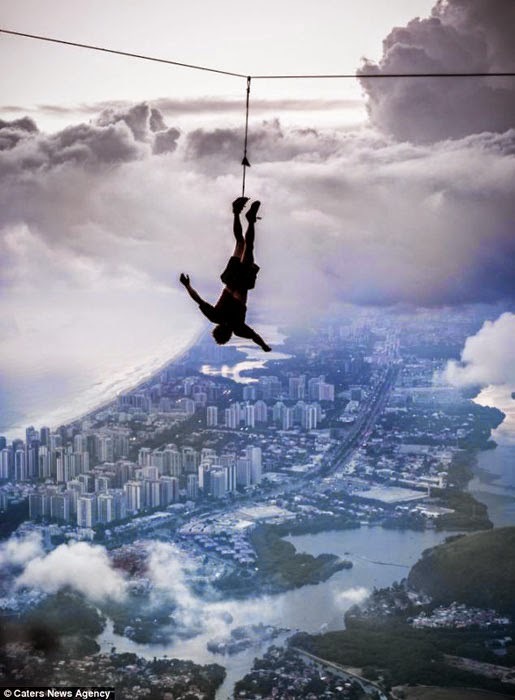 If you're an adrenaline junkie looking for excitement, don't trade. Find something else for excitement and keep trading "boring"
For a rush and excitement, perform in a musical band, compete in something whether it's chess or triathlon or to get on a game show like Jeopardy or a cooking show, go rock climbing, give public presentations, etc. Find a passion that will give you goals and excitement outside of trading. But seeking excitement from trading will only make you lose money. Because that's gambling. 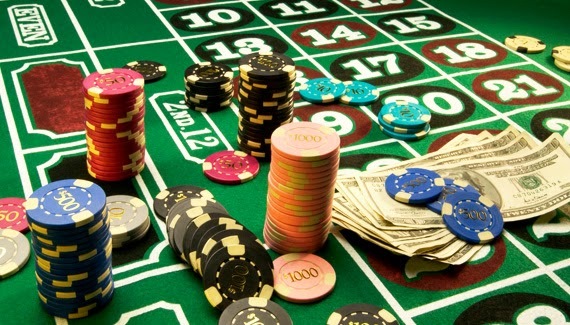 And over time, you will certainly lose money if you gamble. If your main goal is "I want to spend more time with family", don't daytrade. Maybe consider swing trading. Or better yet, don't trade at all. Active daytrading is more of a young person's endeavor. When I was fresh out of college, I spent a considerable time learning to trade and I would easily spend 14-18 hours a day. There was no impact to family, since I was single. I could blow up trading accounts, and oh well, no worries, since I have my whole life ahead of me. However, this not something as advisable if you have a family and are just learning to trade. And are you over 30? [my hand is raised] Then the odds are even more against you. See an interesting article on about why there aren't many top traders over 30 years of age HERE. Venture into the field of trading because you love it, not necessarily because you want to have more time for other things. Learning how to trade successfully is all all encompassing and will take over your life. And if you treat trading as a hobby, then sure, that's fine, but it will likely be an expensive hobby. I should have listened to Trader-X, one of the original old school bloggers. Read the articles HERE and HERE about "Chasing Success." Read the comments, there's a lot of gold in there. In the old school sushi restaurants in Japan, an aspiring sushi chef will spend years working in a restaurant and mastering various tasks, like simply making steamed rice for 2 years, before even being able prepare the fish. Seems a bit excessive, doesn't it? But what a way to build discipline. So what did I do? And within each of those asset classes, I tried discretionary trading, charts patterns, volume profile, Fibonacci levels, mechanical systems, quantitative/statistical outcomes, special situations, etc. I have a personality that loves to research and to constantly learn. So it's hard for me to just focus on one setup and only execute that for an extended period of time. Because it can be so...boring. To just sit around waiting for one setup seems like such a drag, you know? It's like a...job. When I've felt and treated like trading was a job -- you know, somewhat of a drag, somewhat boring (which trading can be much of the time), like something you didn't necessarily want to do (sitting around endlessly looking at a computer screen), but you know you have to do it and do it well -- those have been the times when I've executed my trades the best. Before the latest return to trading several years ago, I was fortunate to be in the tech/financial space where 6 figure annual salaries are not a big deal. So when I returned to short term trading, I wanted to replace that salary (AND MORE!) without really spending the time to develop a sound process and strategy that was in sync with my personality. Why would I want to limit my losses to $20 and possibly gain only $80 on a great trade? That's peanuts! Wuss! C'mon, I don't play the $5 tables in the casinos, so why should I do the same in the stock market? Now add a few zeros to that and then we're talking! Bad mistake. Ego was talking. Get a solid strategy and process in place first. RISK SMALL (less than 1/2-1/4% of your portfolio per trade). Achieve consistency. Work on getting through any emotional and mental issues trading live. Then scale up, slowly. Otherwise, you are likely just gambling. Which means you'll lose. Trading small -- easier said than done. 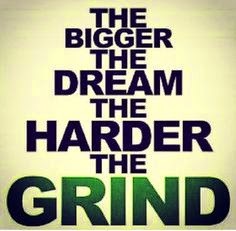 Most people will initially have the discipline of risking small, but will eventually get tired of the grind. When the realization that someone working at McDonald's is making more than you, going for the big win out of boredom and/or frustration of a bruised ego is easy to do. Sure, you might get lucky betting and winning big, but eventually, if you don't follow a sound strategy and process with an edge, it's only time before you lose it all. I've seen it happen to many people. 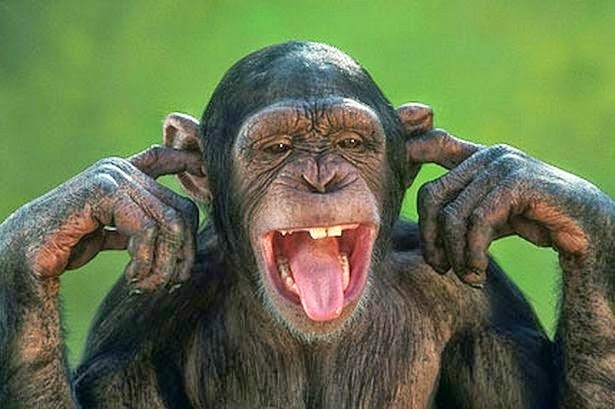 On twitter, keep track of those traders who go quiet and/or permanently disappear. For the first year or two (or more), it shouldn't be about the money, but about finding the strategy that works best for you, and creating a process that you can repeat over and over. Make it through that learning experience with minimal tuition (i.e. losses). If you're coming into trading from a successful career making respectable $'s, it will be especially hard to bet only peanuts while you learn. Whether you admit it or not, you have a big ego, although you might call it confidence. The temptation to size up will be big. And you'll be lucky at times, or for weeks or months, but if you don't practice prudent risk management, the market will take it all back. It's only a matter of time. Learn to walk before you run. Don't think about the money, just whether you executed your plan properly. And RISK SMALL, especially while you're learning. Yes, the basis of trading revolves around money. So it becomes easy to focus on profits and losses for every trade. But this is one of the best ways to get sidetracked and to go down that dangerous road of emotional trading. Focusing on money (especially if you're losing) can quickly lead to FOMO (fear of missing out) trades, along with impulse and revenge trades. Once you're in that frame of mind, it's pretty much game over, and there's a high probability you will kiss your $'s goodbye. Those who are successful traders will usually have a different perspective of trading -- the outcome of any single trade doesn't really matter, as long as the proper execution and position sizing has taken place. In addition, the routines of the processes/routines necessary to be properly prepared for the next trading day are repeated consistently over and over and over. In many ways, it's just one big constant grind to be a consistently successful trader. It's a lot of work, which has nothing to do with money. So you better love everything about trading, especially all hours of research and homework you'll need to do when the markets are closed. Otherwise, find something else that captures your passion. Study trading long enough, and you'll hear endless stories and mantras about "Don't risk more than 1% (or 2% or whatever) of your portfolio per trade. Risking small works for people with a big account in order to make a reasonable living. But it's another to start with $5,000 and think you can make $100,000/year, consistently, especially if you've only been trading for less than a few years. And let's say you are one of the few that does it. Still, you can not quickly build an account without either risking a big % of your account on a several "high conviction" trades, and/or have a unusually lucky series of consecutive wins. For those of us who start with a small account and build their account to a sizable amount, there was significant LUCK involved. Making big $'s from a small account -- it can happen, I've seen it happen, and I truly hope it happens to you! I've seen people win the MegaMillion lottery, too. But it's not a good idea to base your business plan and trading career on luck. If you do start with a small account, consider it additional tuition expenses, not your ticket to the big time. Because you will likely blow it up either via losses or commission/fees. And in the meantime, work hard and hustle to save up enough to open a respectable sized trading account. Then you can risk a minimal % of your account so that you can statistically reduce your risk of ruin, but still generate reasonable account growth. After you have a lot of successful experience, then maybe you can decide if you want to trade like George Soros, where you put all your eggs (and more) in one trade based on your level of conviction. But for the rest of us, that method is not a good idea. Huh, WTF? That's a really long time, c'mon, that's BS, man. What about "Joe Super Star Twitter Trader" who started making $10k/week after 6 months? Or all those other people banking big bucks and killin' it week after week within a year after taking a trading class?!? Sure, it's absolutely true that you will start killin' it in under a year -- very possible, but very rare. Most of the time, it's just a lot of it is BS from people trying to sell you something. If you've been around long enough, you'll understand the saying "Trading is the hardest way to make an easy living." For every Lebron James that skips college and immediately becomes a elite superstar in the NBA, there are millions of others that don't make it. And even though he's at the top, Lebron continues to work harder in than nearly everyone else. Same with trading. If you happen to be "the one" that makes it big, I'd seriously be the first one to cheer you on and congratulate you. I love to see people succeed. I'm not trying to be a buzz kill, but there's a 90+% probability you won't succeed and be around in 3-5 years, that's just the cold hard facts about trading. It's a tough grind for the majority, you have to be a little crazy to stick around. Want to increase the chances to beat the odds? When you first start trading live, keep losses really really really small for a long long time. This will be very hard to maintain when you go on a losing streak and feel that you need to chase your losses. Or when you think you need to cover certain financial expenses every day/month (like your daily fees or housing rent/mortgage). That's when the downward spiral often begins. So be prepared to give your blood, sweat, and tears, and but plan to GIVE IT YOUR BEST for at least A FEW YEARS. It's a marathon, not sprint, so pace yourself! When you're in a slump, trading can take you into some very dark corners of your mind, places where you may never have experienced. Gurus are easy to find, but finding someone who will both be totally honest with you, have your best interests at heart, and have the TIME to spend with you, especially during the really tough times, are very difficult to find. But having such a partnership could make the difference between making it as a trader, or not. When things just aren't going well, most of us become quiet. We don't journal anymore. We don't blog anymore. We don't socialize anymore. We clam up. This is exactly the time when we really need to have a voice of reason, to make sure we stick with our process. That we continue to grind away, journal and continue to study and review our trades. We all need someone who can provide the intervention necessary to hold us accountable and remain true to ourselves. Someone who will help keep us from being our own worst enemy. Do you best to find a solid accountability partner. When I first started trading (and even now at times), I was obsessed with finding the Holy Grail of trading, which meant finding a new way to enter trades. But what I failed to realize was how important exits are (just as much as entries). And how about position sizing and risk management? Most don't realize the huge impact of position sizing to your longer term success. Assume you have the same exact system trading in 2 different accounts. 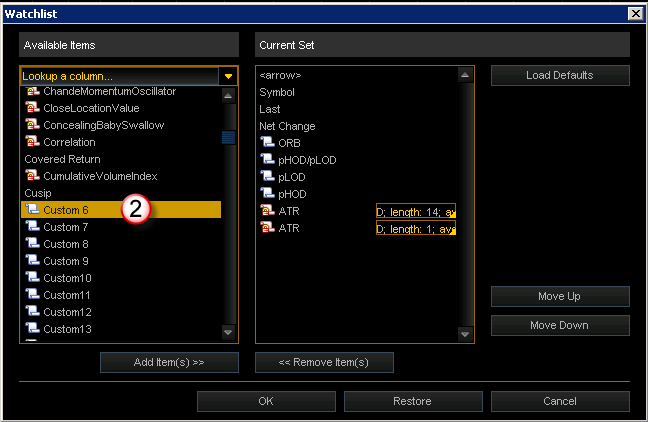 But you use a different position sizing method for each of the portfolios. Let's say on one system, you risk 1% of the account. And on the other, you risk 3%. You will see a HUGE difference in performance between the 2 account simply based on the position sizing. Ultimately, your mental game is critical to making sure you're able to take your trading plan, and execute properly. That's the area most traders focus very little on. I believe successfully working with your emotions is the holy grail of trading. So whereas beginners and losing traders focus primarily on entries, successful traders will focus much more on improving their risk management and psychology of trading. Do what the successful traders do. Focus on your mental game. Investigate any long time successful trader -- nearly all have other sources of income. Whether it's from a trading chatroom, real estate, business, corporate job, etc. This very helpful to reduce the amount of pressure you have to make enough from trading in order to pay your bills. In general, income from trading can be a very cyclical, where you never know if you're going to have a good week/month/year, or not. But with additional sources of income, you don't need to worry whether you'll have a good or a poor month from trading. And don't forget the pressure from whether or not you'll have food on the table and a roof over your head. You'll be able to focus on trading from the perspective of having the valid setups. And if they don't show up, fine, you'll have other non-trading areas to focus on and to help generate constant income, and thus reduce your overall stress. As a result, this makes you a better trader. Life happens. As soon as you think you finally have it figured out, the market will let you know otherwise (i.e. will punish you mentally and financially). Just when you think everything is going well, there will always be something happening that will ying and yang with our emotions and mental well being, thus messing with your ability to execute and to trade consistently. Your holy grail/bread and butter/go-to strategy will one day, gulp, stop working. Or your internet or PC will glitch on you right as the market is starting to go against you. That's why I've found that the amount of success is often equivalent to the amount of work you put into grinding away -- doing your journaling, doing your homework, doing your practice, doing new research for new strategies, and so on, especially when the market is closed. This could amount to many hours a day, beyond just executing your plan during regular market hours. But wait, this isn't what I signed up for, is it? Didn't I want a life sitting on the beach, only working a few hours a day? Sure, this could be achieved, but most of those people (assuming they're not BSing), have spent thousand upon thousands of hours grinding away, until eventually getting to that point where they're at peace with how they trade. And even then, they're so used to the grind, that it becomes "normal" and they become lost in their routine. If you truly love trading, the passion will keep you going, regardless of the good times or bad, till death do you part. When Paul Tudor Jones (legendary hedge fund manager featured in the first Market Wizards book) was in a slump, he signed up with Tony Robbins (for $1 million a year) to be his business coach. And Tony's first advice to Paul was to become his best, he had to get into his best physical shape. See the article HERE. Unless you're physically fit, your mind will not be operating at its peak, and all of the above won't matter. And remember, you can't do much trading buried 6 feet under. If you've read this far, thanks for reading. 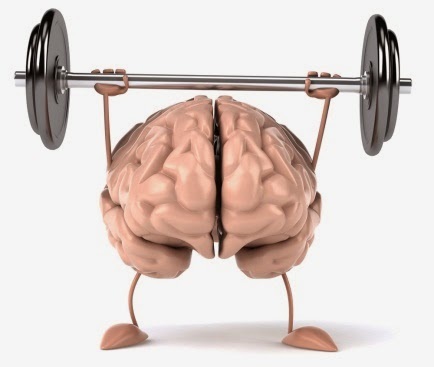 As if you didn't notice already, the keys to consistent trading success is having a STRONG MENTAL GAME, along with RISKING SMALL / conservative risk management. And surprise -- these are the topics least interesting by most developing traders. Coincidence? There are several key levels and/or conditions that I have considered important over the years. And within the past year, @FinancialTrader has further inspired and validated the use of those levels based on the methodical way he trades opening range breakout (ORB) setups. A few examples of the levels include where the stock currently trades (or has traded) in relationship to the prior high of day (pHOD) as well as the prior low of day (pLOD), and the 30 minute opening range. So with my daily watchlist, I wanted to quickly see those conditions within a quote window with simple green and red boxes, so that I wouldn't have to even view and/or flip through multiple charts. I've been a TradeStation user for many years and had already programmed the conditions within a customizable quote window they call RadarScreen. But unless you meet certain trading volumes every month, they will charge you $60/month just for the RadarScreen add-on (in addition to the base platform fee of $99/month AND exchange data fees which never get waived). Doesn't seem like a good deal, especially since I'm winding down my trading volume and will likely miss my volume thresholds in the future. So I wanted alternatives to TradeStation...as much as I love the platform. This is where thinkorswim / TOS comes into play. Hard to believe I've had an account with them for nearly 20 years, ever since they were Datek and they had just created their revolutionary Island ECN...oh those were the days. I've NEVER paid any data or platform fees to TOS, even though the account has been mostly dormant for nearly 10 years! Since FREE > $60/month, I started a crash course last month to learn more about TOS and programming with thinkScript. For the ORB code, it was great to see in the header comments for the original code that Prospectus created the script based on inspiration from the old school Trader-X blog. That blog inspired me to return back to trading several years ago, and it feels like I've come full circle. And although the blog is no longer active, it sure was good to see Trader-X post a new update back in February. Explained below are few examples of how and what you can do to create red/green (or whatever color you choose) conditional boxes / columns in quote windows. The code is based on very small modifications I've made to popular scripts that have in use for a while. Since I'm still a novice, any good shortcuts or suggestions for improvements is much appreciated. 1) Within a quote window, RIGHT click the small gray circle in the upper right part of the box next to Symbol. 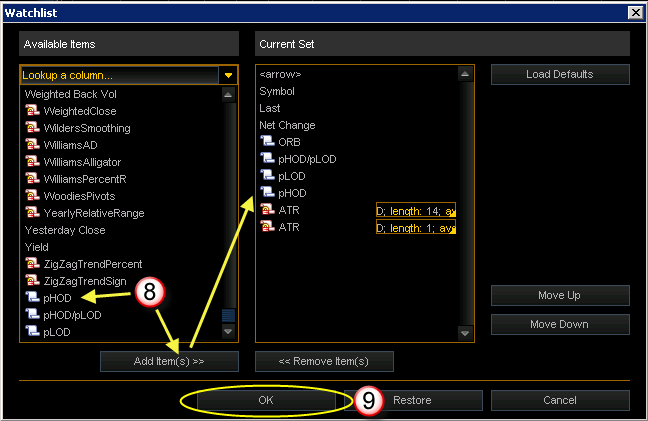 Then click "Customize"
4) Just to the right of "Column name" change the "Aggregation" to 5 min. 8) Highlight your newly created Custom Quote column in the left column, and move it to the right under "Current Set"
Last month, I enrolled into the Bulls on Wall Street (BOWS) 60-day Bootcamp training program for daytrading stocks, and it has surprisingly exceeded my expectations. After years of studying trading and joining various chatrooms, I initially thought, what else could I really learn or gain? Before joining, I asked several prior students and they all said the same -- the Bootcamp was well worth the time and cost. And yes, I was still a bit skeptical, I thought I was different. I've realized that you never stop learning something new, even if you think you already know a lot. A surprise value-add has been the highly focused / low noise content within the private Bootcamp Google+ community from all the current and prior students, where I continue to learn and also try to help pay it forward. I'll write more about the Bootcamp and why I joined in a future post. One interesting and reassuring topic within the Bootcamp has been the use of Tradervue for journaling trades. I've written much about Tradervue in the past here and it has been great to dust off some of my old Tradervue tags from back when I traded stocks more actively. Posted below is a slightly modified crosspost I made to the private BOWS community regarding how I'm using Tradervue now to create and refine my trading plan. "Better decisions through data" was the motto for a company I used to work for many years ago. It's something that I still strongly believe. And analyzing data has been a big part of helping me to make better trading decisions. In this post, I'll explain the Tradervue analysis of my SIM (simulated) trades to determine whether the setups I outlined in my initial trading goals are still applicable. Based on the performance of the setups, I will then create and refine my trading plan. This is working somewhat "backwards", but given my trading background, this process works for me. Trading in the Clique Fund (BOWS hedge fund) is my goal, so the trading conditions (trading share size, daily loss limits, etc.) I used are similar to initial conditions when I go live. 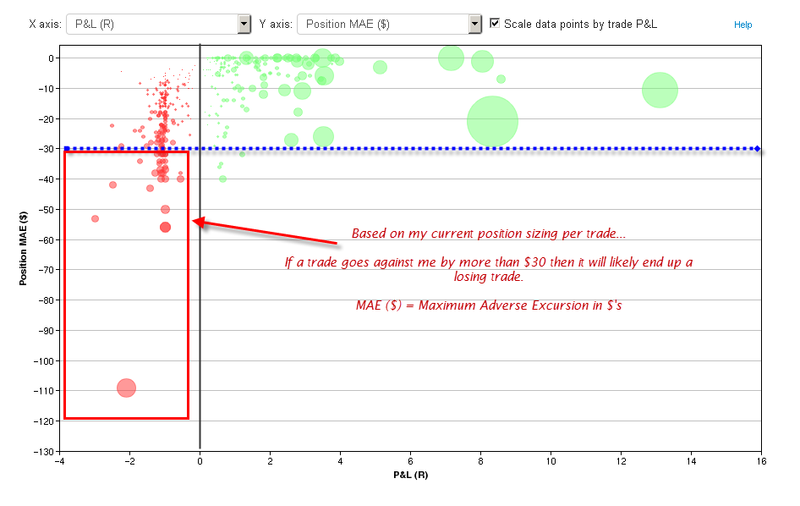 However, I still chose to measure my performance on the R-multiple scale within Tradervue, which is simply a ratio of how much you made/lost compared to what you initially risked. That way, I focus on reward/risk for every trade, NOT absolute $'s. It's easy to brainwash yourself and become overconfident with big fat $ returns under SIM, only to get smacked hard with reality when you go live. It's also harder to "fool yourself" with the R-multiple returns. For example, you can make up a big losing day with one last huge unrealistic 50,000 share winning trade, whereas the R-multiple returns will still likely show you with a losing day. I've fooled myself too many times in the past, so I've learned some lessons. Use Tradervue or any other journaling tool/spreadsheet to look at the cold hard facts. It was a decision filled with pros/cons, but I decided to reuse many of the tags from my prior experiences in stocks. Therefore, some of the tags you see in this analysis may not be a part of the BOWS vernacular. Once the tags are entered for each trade, it's very simple to filter the results to only view or report the performance for a specific subset of accounts. * Results are based on SIM trades (beware of the *fantasy fills*! 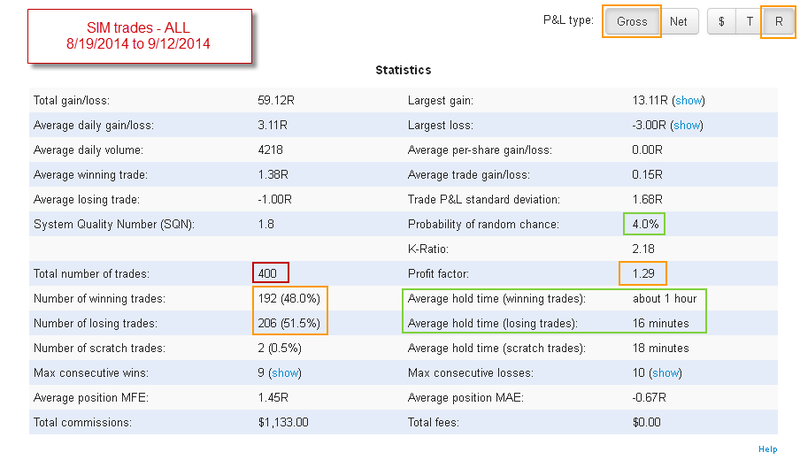 ), gross (no commissions), 25-100 shares per trade (with few rare 200 share trades), $150/gross daily max loss. My goal is to get used to initial Clique fund conditions. 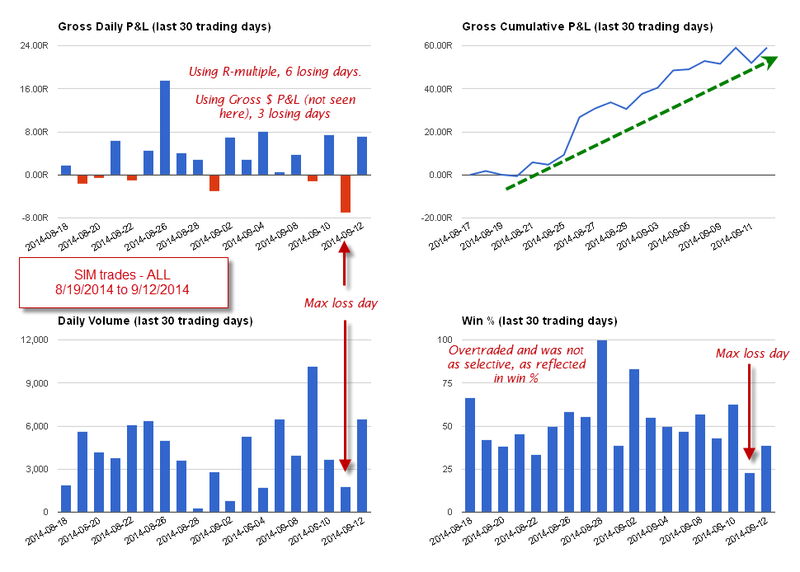 * R-multiple return was +59, based on 400 trades from 8/19/2014 to 9/12/2014. "Probability of random chance" = 4%, so results are statistically valid. 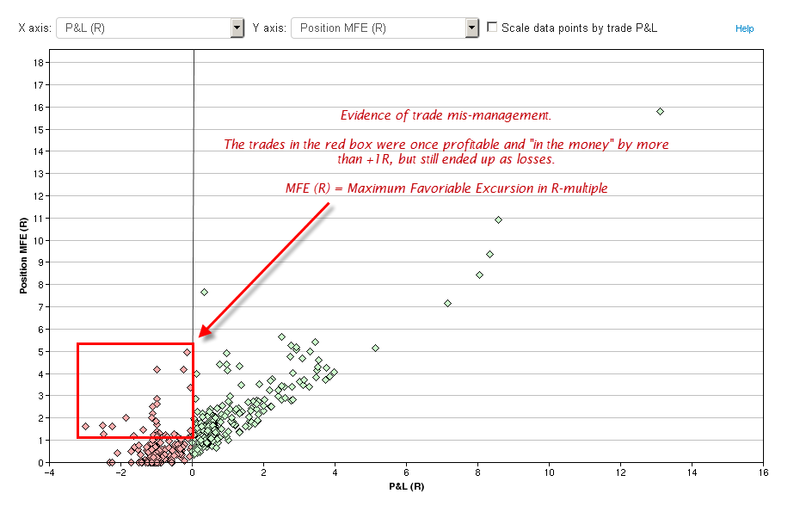 * If a consistent 1% of portfolio was risked per trade (R=1%), that's an almost 60% return. And if 2% was risked per trade, it's almost 120% return. But this is NOT a realistic assumption -- it's hard to daytrade with a consistent R value. Reality for me will likely be more like 0.5%. * I overtraded, surprise! And only trading 100 shares on lower priced stocks, even if in super-juiced-momo-mode, is very challenging to make decent net dollar returns consistently. Commissions and errors also start to compound dramatically with overtrading. * Winning accuracy was about 50%, which is not great given the lower profit factor value. I was not as selective as I could have been. In the back of my mind, I was thinking, "I'm collecting data, so I'll just do this to see what happens." Not a good habit to make. Under my initial goals, I thought focusing on flags, ORB, and 123 tops/bottoms would generate the best results. WRONG! Well, kinda... Here are some key findings. * The long side performance dominated over the short side. Perhaps that's just the current condition of the markets, as well as bias of stocks. Or maybe the chatroom's bias. * Therefore, the bull flag and 123bottom setups also significantly outperformed the short side of those respective setups. * I always thought the bearish "h setup" was a good setup for me, but based on the past month, that's WRONG. Although that setup might do better if overall markets go into correction mode. 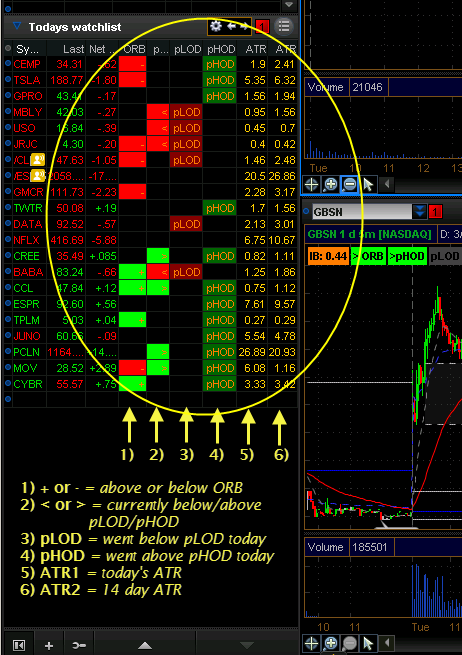 * The ORB setups were profitable overall, but didn't generate a decent average R per trade. 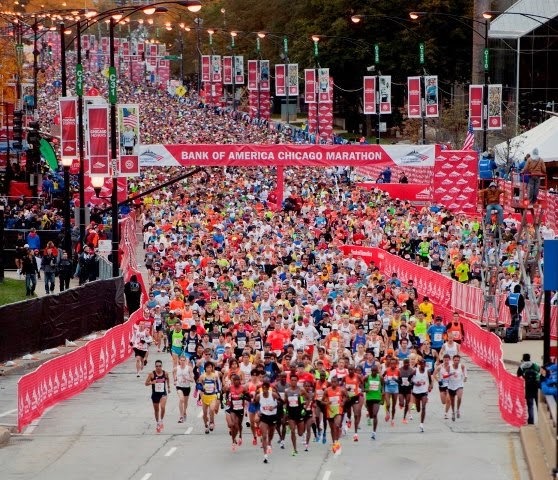 In addition, some of those ORB setups should have gotten runners that run the entire day. Likely I'm doing it wrong. * The triple tap breakouts as well as the sideways consolidation type flags were surprise solid performers. However, need bigger sample for the triple tap breakouts. * I thought I'd be a pretty good trader of 1min charts by now, but the data clearly says STAY AWAY. I need to focus primary on the higher timeframes, and rarely use 1min except when absolutely necessary. 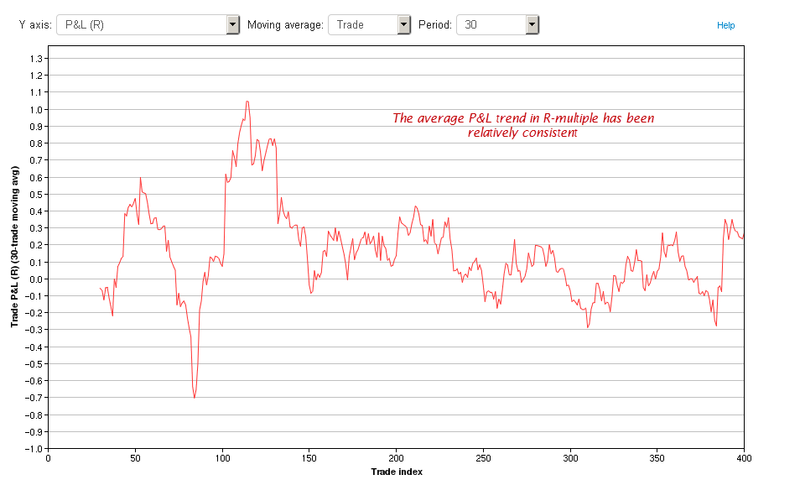 * Revenge and rogue type trades were a small percentage (< 4%) of overall trades. But still, total R-multiple profits could have been about 20% higher without them, these trades are a huge negative impact! * There is an opportunity to do an even deeper dive to optimize what combination of tags do best, as well as time of day type analysis, and more. This will be something to explore in the near future. 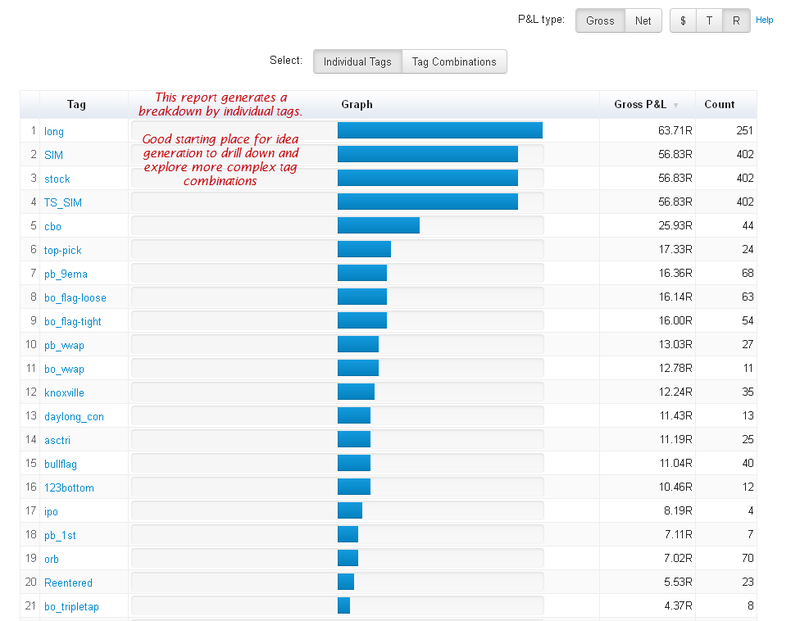 * I will need to focus on creating tags to help determine how best to optimize exits. Exits are arguably more difficult than entries. 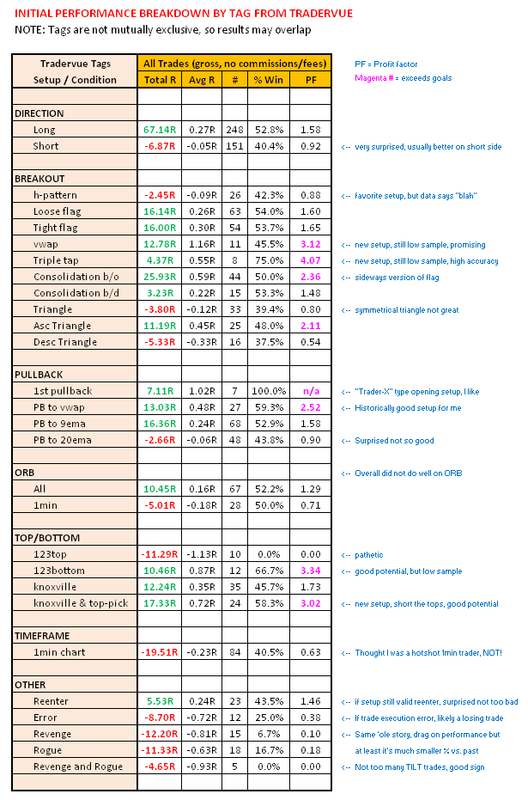 * Additional reports from the upgraded version of Tradervue have been attached. These are just a very small number of interesting reports that could be used to further refine your trading, I've only scratched the surface. Most of the reports should be self explanatory, but please feel free to leave questions in the comments. Now that I have a clearer idea of what works and what doesn't, the findings from above will be used to modify and tighten up my initial trading plan. I will most likely focus my trading plan on the setups with the magenta values under the PF (profit factor) column of the INITIAL PERFORMANCE BREAKDOWN report. Why should I use a lot of energy to try and become a profitable 1 minute chart trader when I'm already doing pretty well with other setups? Markets ebb and flow -- what works now may not work in the future and vice versa. So all these setups will continue to be monitored, and as the market changes, adjustments will most likely be made in the future. As was clear in my last post, as well as some of the comments under the Spread The Trend review (originally posted in October 2013), there have been some rough patches recently. This happens to all traders, funds, investors, etc. Participate in the markets long enough, and no one is immune to experiencing challenging times at some time or another. Spread The Trend replied under the comments of the original review. I thought it would be good to promote it to a blog post, since there are some clarifications, explanations, and admissions that will be of value to some readers. We are responding to the comments made by Marco Starr whose name is unfamiliar to us. 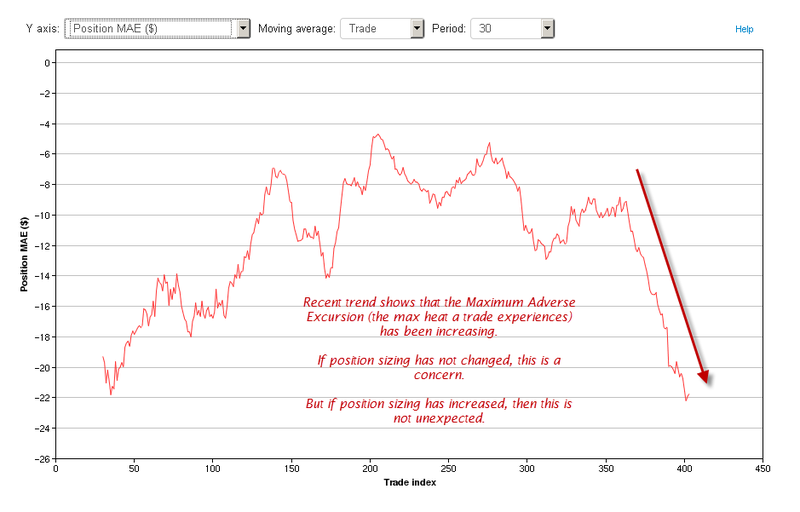 When a trade is rolled, you close one position and then simultaneously open another position. The losses being referred to are paper losses. A true realized loss is not incurred unless someone chose to simply close all positions and not roll their trades. We are currently down for the year with implied volatility being anemic but our final tally is far from solidified. We have also been trading in and out of several positions to help reduce the cost of our rolls and being as conscientious as possible to our subscribers. All along it was explained to subscribers what our plan of action was and why our decisions combined with market forces lead to these outcomes. In all fairness, perfection in trading is difficult and we stand by our longer-term track record. Of course, we do our best to try and avoid getting into stressful situations altogether. 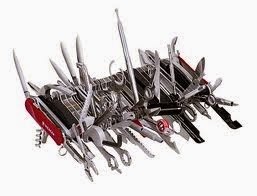 We also believe we could have done a better job as well and have taken “key learning’s” to heart from this experience. The majority of auto trade subscribers, or over ¾, did fill on the roll in question. As for those folks trading their own accounts the results seemed mixed as some did fill and some did not. It’s most common for everyone to fill or not fill as a whole but on rare occasions sometimes not everyone will get filled all in the same day. This can possibly be due to the timing of the order being sent or how quickly the broker is able to submit the order, or it could even have something to do with the liquidity in the market at the time the order is processed. When we see that the mass majority is filling that tells us that our order is priced fairly and correctly. If a broker did not fill, then we ask the question why? There are tools available where one can go back and see the amount of volume traded on these strikes, which shows there were many fills. Could Spread The Trend have sent the order earlier? In hindsight, probably yes. However, the process that has been successful for many years dictated that waiting was appropriate. We desired a different outcome as well and these trades impact our own personal accounts. All trades are posted on our website in the Member's section under current open positions with all of the details in their entirety. We do not post the trades to our closed positions page until the entire trade has been closed out and as of Mr. Starr’s posting and this posting; the entire trade has not yet been closed out. We offer a one month $1 trial so folks can get comfortable with the strategy and always ask that individuals add capital gradually. One may review both open and closed trades and decide if the newsletter is a good choice for them. Spread The Trend realizes that this period was stressful but we also have many winning weeks, months, and years on record. However, that concept that we were a “deer in headlights”, “virtually sunk”, or “listing” is disingenuous to our long term subscribers who are somewhat disappointed but are still extremely profitable and content with our strategy. 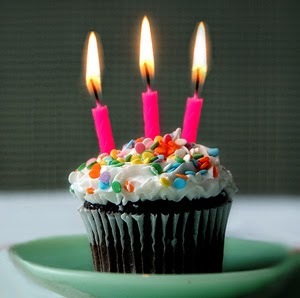 Yes, I haven't been blogging much, but I'm still here. It has been 3 years since I've gotten back into trading from a long time off, and it sure has been an interesting journey. Late last year, I hit a bump in the road of life where my health condition lead me down a path with potentially very negative implications. There were many times when I wondered about my worst case scenario: how my passing away would burden my wife and 2 young children immensely; how devastated my children would be; how I would never be able to see them graduate school, attend their wedding, see their children, and so on. Oh those were depressing times. Although I was still involved with the markets, it obviously didn't mean as much, and my performance reflected it. During those times, trading became somewhat of a distraction from reality. In hindsight, I should have shut it down completely. After many tests, my heath issues luckily turned out to be nothing major, and I have pretty much worked myself back to "normal." But it sure was a big wake up call and reminder not to take health for granted. Seize the day. This moment, right now, you own it. - Moving back to focusing on short term stock trading, which is how I initially started. Going full circle. How quickly things can change over a few month period. But that can be pretty much "business as usual" in the world of trading.